Here the move at a looks tempting in response to , but is the pro move. This is because if black were to play first on top, he would play b, or somesuch, rather than a which allows , so , at a is an unhappy sequence for Black. 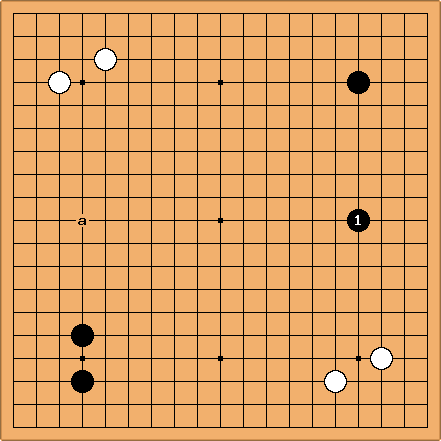 Instead, , makes the corner stronger, which devalues the invasion at c - if white invades, Black jumps outward, ands indoing so can reduce the left corner somewhat, without worrying about the corner. 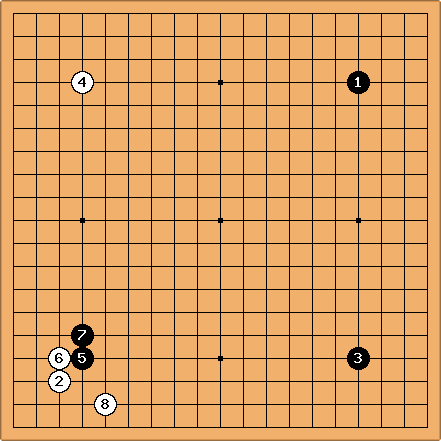 ... approaches directly, forces white to choose which direction to play and then chooses accordingly. 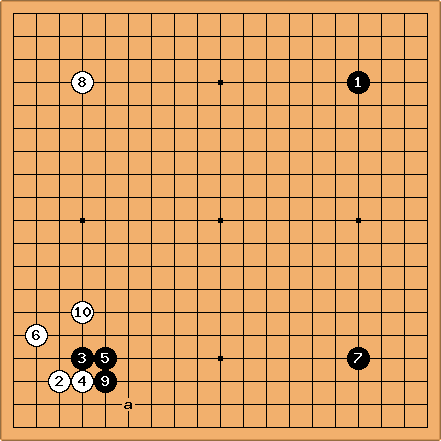 If W8at a, black can take the third corner. 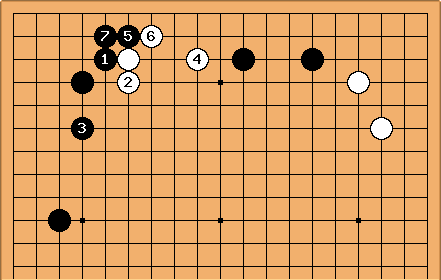 This feels almost a movce faster to black than the diagram above, becasue of the ineffective move White plays on the 2nd line, vs. the good 2nd line move in the top diag. here not a is right becasue the single star point stone is weaker than the enclosure.